Just take them out and they’re ready to use with all your devices. Put them in your ears and they connect instantly. Speak into them and your voice sounds clear. 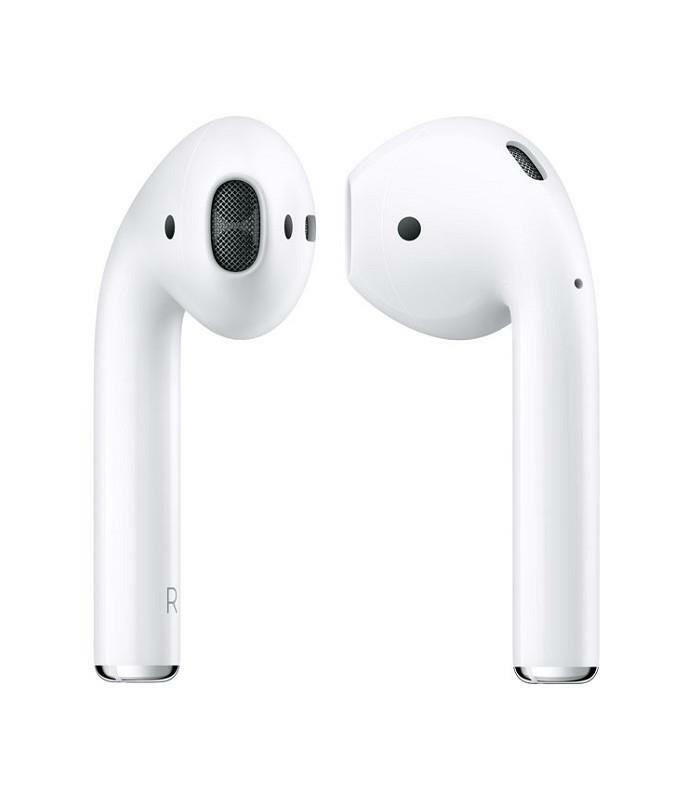 Introducing AirPods. Simplicity and technology, together like never before. The result is completely magical. After a simple one-tap setup, AirPods are automatically on and always connected.1 Using them is just as easy. They can sense when they’re in your ears and pause when you take them out. 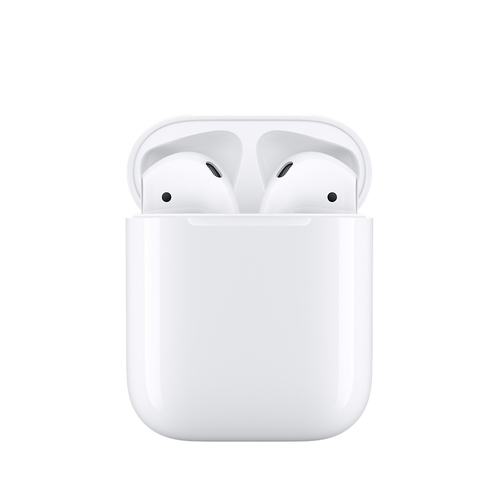 And the AirPods experience is just as amazing whether you’re listening to your iPhone, Apple Watch, iPad or Mac All the groundbreaking things AirPods can do are driven by the custom-designed Apple W1 chip. It produces extremely efficient wireless for a better connection and improved sound. And the W1 chip manages battery life so well, you can listen for 5 hours on a single charge.3 It’s performance that’s unheard of in a device this small. 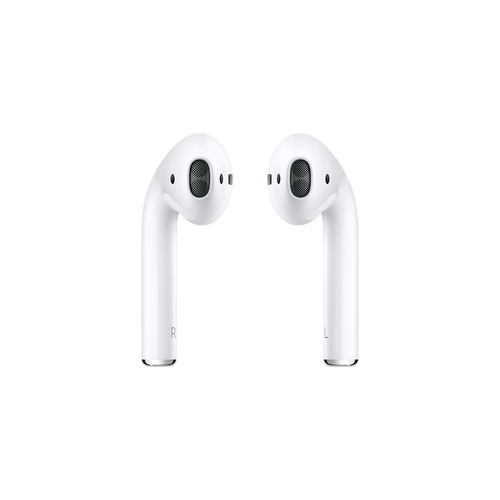 AirPods deliver an industry-leading4 5 hours of listening time on one charge.3 And they’re made to keep up with you, thanks to a charging case that holds multiple additional charges for more than 24 hours of listening time.5 Need a quick charge? 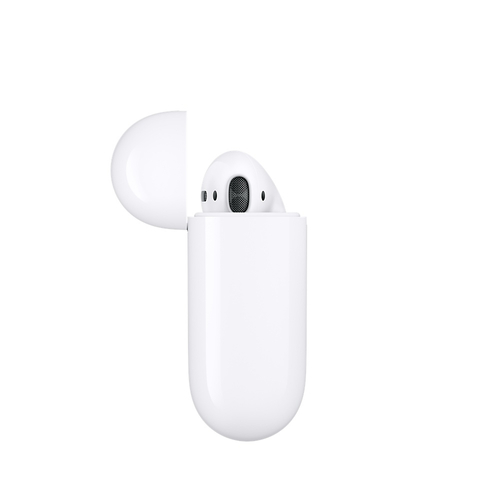 Just 15 minutes in the case gives you 3 hours of listening time.6 To check the battery, hold the AirPods next to your iPhone or ask Siri “How’s the battery on my AirPods?” It’s great-sounding music, movies and more to your ears. 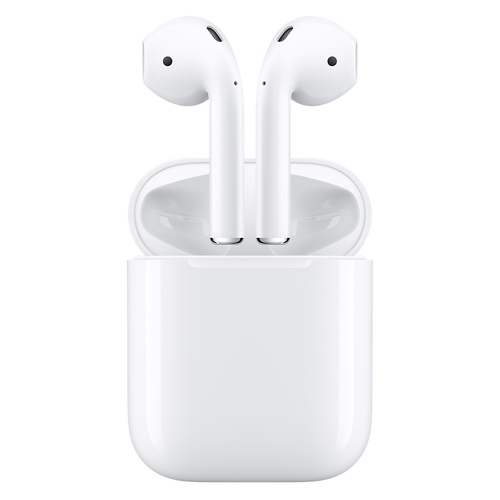 AirPods provide rich, high-quality AAC audio. And when you want to be heard, dual beamforming microphones filter out background noise when you make calls or talk to Siri.